A variant on standard adjustable warehouse pallet racking, Double Deep Pallet Racking system as the name implies, allows pallets to be stored two deep with both pallets accessible from the same aisle. Because the pallets are stored two deep this reduces the number of access aisles required which can save a lot of space in your warehouse, or enable you to get even more pallet positions / additional pallet racks, providing a very space-efficient pallet storage system. The pallets stored behind the front ones will need to not be required to be removed from the pallet racking until the front ones have gone, otherwise there will be a fair amount of double handling, although the speed of access to the rear pallet positions maybe restricted, with an efficient stock management system this can easily be compensated for to enable you to benefit from the advantage of the substantially increased storage density. 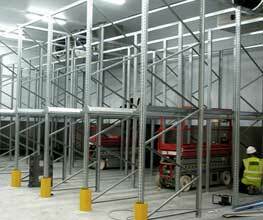 We normally specify and install Link 51 Pallet Racking but we can also supply and install other pallet racking manufacturers double deep systems such as Dexion and Apex racking if you prefer. 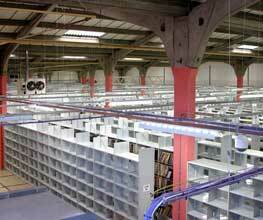 How does Double Deep Pallet Racking work? 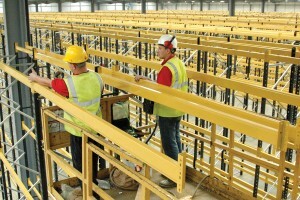 The pallet racking layout is not traditional though as you build two runs of racking using the required upright frames and beams behind each other with around a 200-300mm gap between them (depending on the size of the pallet). The first pallet at each pallet position is loaded through the front racks and onto the second run of pallet racking, then the front pallet is loaded in the traditional way on the front run of racking. 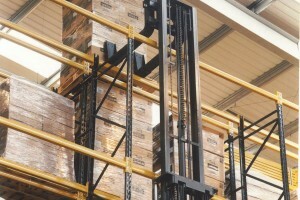 To be able to use a double deep rack system you need special forklifts that have extending forks or fork extensions, that are capable of handling the pallet load at the required distance away from the mast (for example a forklift with a 1.0t pallet capacity is usually rated at 1.0t 600mm away from the forklift mast, if you are extending the pallet into a double deep system the centre of the load is likely to be some 1.8m away from the mast and the forklift will need a much higher lifting capacity). 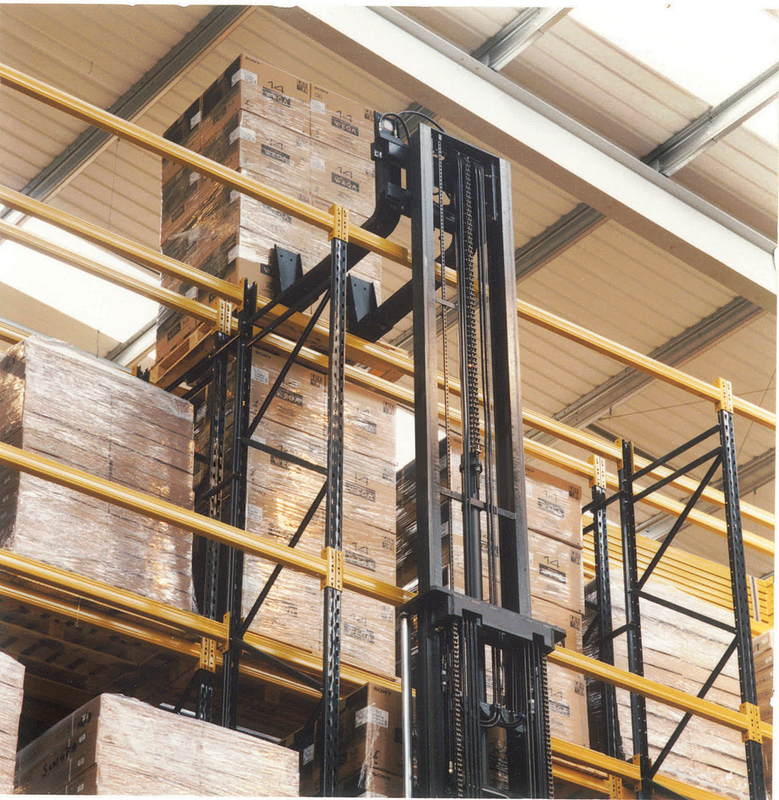 Many years ago we did actually install a Three Deep Pallet Racking system which had a small camera mounted on each forklift mast to enable the forklift operator to see into the warehouse racking system while loading / unloading, to reduce the risk of error in pallet handling.